There is the old view of meditation that one empties their mind and then they are in nirvana. The assumptions if we could just quiet our mind, then nirvana would arise. The chattering of our worries, planning, analysis was the enemy. A brief time doing what is called non-directive meditation reveals that much more enticing than mind chatter are the images that seep into our inner view. These are more than snapshots of some irrelevant street corner or some dreamy unknown possibility. Images become movies, complete with sound, touch, and emotional tone that draws us along. So immersive they are, we lose track of time, the environment around us, our original intent to mediate. We started off with the goal of standing off, untouched by our mind, heart, and the world, and instead, we are wrapped up in its drama. 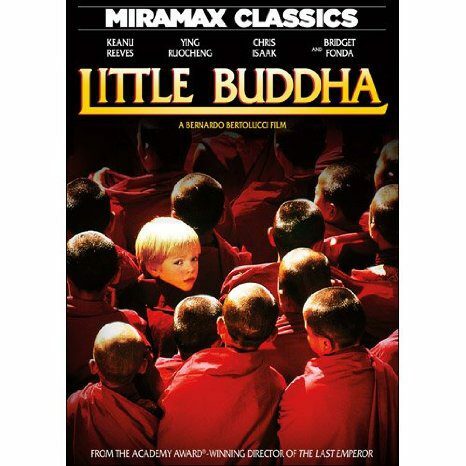 Scenes from the movie on the Buddha’s life, the Little Buddha, capture our struggle not to be overtaken by inner attractions when meditating. Of course, when we are working to increase imagination, we seek out such attractions and linger within them, but that discussion is for another time. Meditation can show us just as frequent and deep our inner imagery is, called or uncalled. This approach comes from a practice called Conscious Mental Rest, at least how I apply it gives a close view of the mind at work. Close your eyes and notice where your eyes naturally go when let go and rest. Feel the eye muscles and get to know the feeling. Focus your awareness on your relaxing eyes and stop speaking to yourself. Quiet down. Anytime chatter comes up, say “No” and make the chatter stop. Realize that you in search of more important things than your chatter at this moment. Wait with as empty of mind as you can keep. Before long, when you have the chatter under control and things are quiet, images will seep in. For a few minutes treat them the same way as the chatter by saying “No” and not letting them go any further. More and more images will show up. When you wish, let go with your opposition and submerge with some imagery. Shake off this imagery and get back to having an empty mind. This back and forth will show you prevalent imagery is in your mind, whether you are seeking it or not.